So it seems that your professor has asked you to write an analytical essay, and you are failing to get started. Hours have passed by, and you are staring at a blank screen. Somehow, a simple assignment like writing an analytical paper has become a daunting task. If this sounds like you, then you need some help, from how to start your analytical essay, all the way to writing a killer conclusion. Luckily for you, this article has all the help you need to get started and finish. Before we get to the writing portion of the article, let us define an analytical essay so we know what we are working with. An analytical essay is a paper that summarizes a book, poem, picture, movie or any other creative work. Although it is a summary, it is much deeper than that because it is not all about just stating what happened in the creative work. It is about examining it and analyzing its meaning (themes, story, characters, etc.) and stating whether the piece has adequately conveyed its intended meaning to the audience. So now that you know what an analytical essay is, let us look at the steps you need to take in order to write one like an expert. Just remember that if you are still having trouble getting started, you can get actual experts to help you write one, as there are affordable custom writing services that allow you to buy essays online cheap. 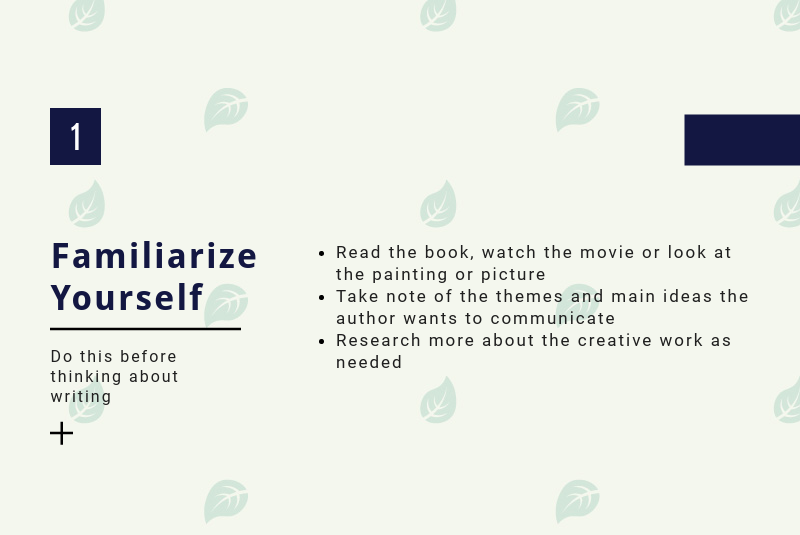 Before you actually start working on any part of the essay, the first thing you need to do is to read the book, watch the movie or look at the painting or picture for yourself. While doing this, take note of all the themes as well as all the main ideas that the author is trying to communicate. These things might not be obvious from the start and might require you to do additional research to fully grasp them. Some authors do not always make their work so easy to understand, and you might need to read other analytical papers to get the right idea. The next step towards writing an analytical essay like an expert is making an outline that will serve as a guide. Once you have an outline, all you have to do is to fill in the blanks. The outline of an essay like this will consist of three sections: the introduction, body, and conclusion. The introduction and conclusion are usually one paragraph each, while the body is three paragraphs, all adding up to a 5-paragraph essay. You can add more paragraphs in the body if needed. 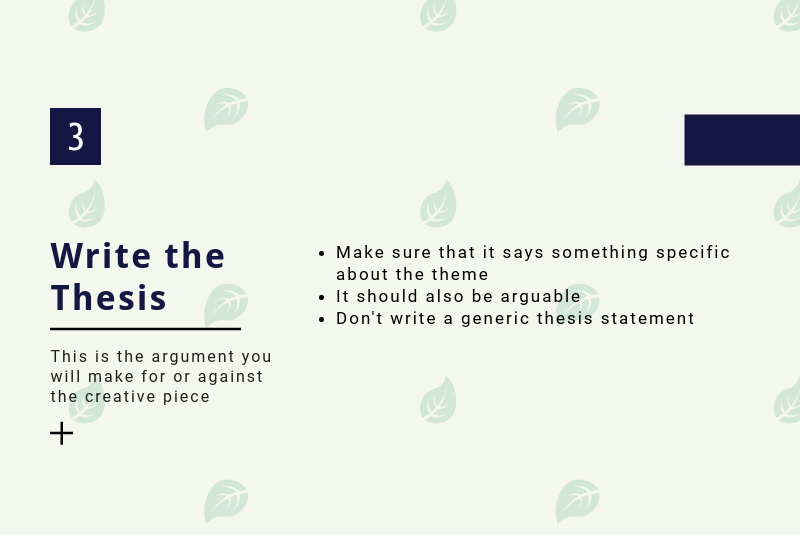 The thesis statement will be the argument you will make for or against the creative piece, and it will tell the reader what your paper is all about. It is usually a sentence or two and will appear in the introduction. 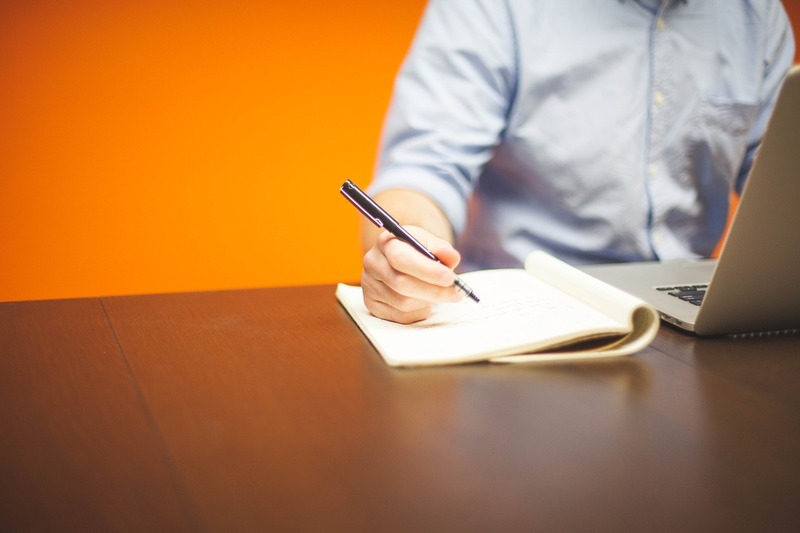 Formulating it beforehand is usually better as it can be used to guide your writing. When writing a thesis for your essay, make sure that it says something specific about the theme and that it is arguable. Do not just write a general statement about what the theme is about. The introduction is where you get the reader interested in the analysis you have written. In order to achieve this, your introduction needs four elements: a hook, background information, thesis, and an explanation of how you will support your thesis statement. Let’s look at the elements of an introduction in more detail. Hook. The hook should be the first sentence of the introduction and designed to draw the reader in. It can be anything interesting, such as a quote, a pun or a surprising, controversial and/or shocking fact. Background information. Mention the title, author, and the date of publication of the creative piece that you are analyzing. Thesis statement. As discussed earlier, the thesis statement is the potion of the introduction that tells the reader the point of your paper. Plan to support for the thesis. Since you have provided an argument for your thesis statement, you will then tell the reader how you plan to prove that your argument is right. The body of the paper is where you get to show your professor that you have some creative chops. This part of the essay is at least three paragraphs long and should contain a topic sentence, a claim, evidence of the claim. All the elements are important if you want the body to be strong. Topic sentence. The topic sentence is the first sentence that appears at the beginning of each paragraph, telling the reader what it will be analyzing. Claim. The claim is an analysis of some part of the creative work. You should also make sure that every claim you make is in line with the thesis statement. Evidence of the claim. If you have heard of the burden of proof, then you know that it is a rule that the one who makes the claim must also support it. 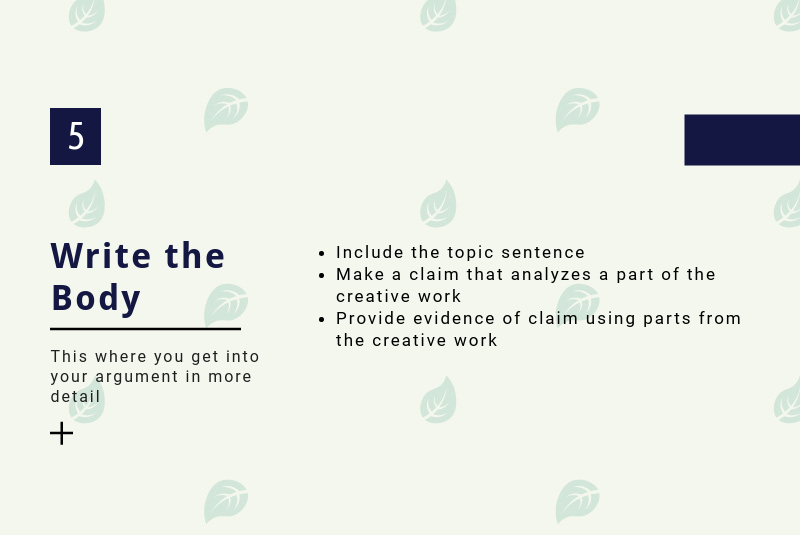 To support your claim, use parts of the creative work you are analyzing – you can paraphrase or quote from it directly if it is a literature piece. Now that you have written an engaging introduction and captivating body, it is time to wrap up the paper like an expert. This is the perfect place to restate your thesis statement and summarize all your claims for the reader. Under all circumstances, avoid making new claims in the conclusion. Now that you know all the steps to write an analytical essay, happy writing. If you need further assistance with your paper, you can always seek help from an affordable custom writing service. Custom writing services can also write any type of an essay for you, whether you need a custom research paper, custom dissertation or custom argumentative paper. A majority of students use these services every day.